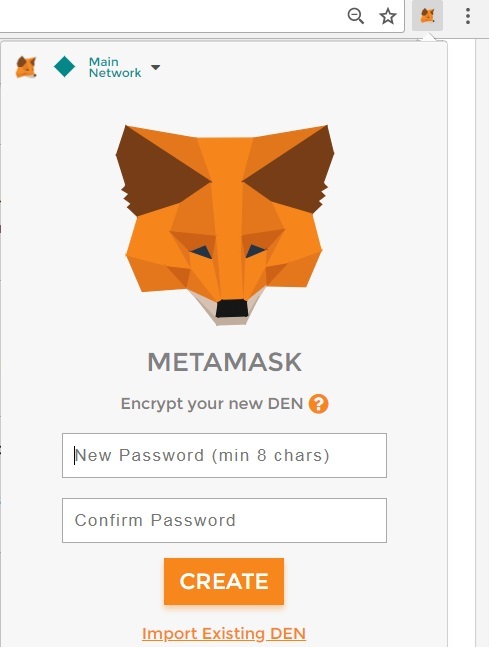 This section describes how to setup MetaMask extension for Chrome. 1. Click the MetaMask icon near the top right corner of the browser window. 2. Accept the terms and conditions. 3. Enter a new password and click "CREATE" to create a new account. 4. Save the seed words provided by MetaMask in a safe place. 5. Click "I'VE COPIED IT SOMEWHERE SAFE". 6. Check the Ethereum account. It's ready to receive Ether fund now. Private Network ID Must Match "chainId"